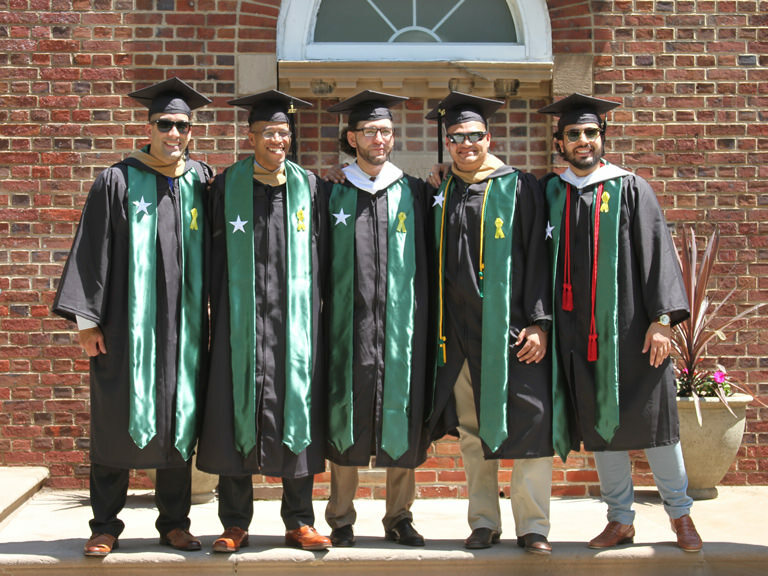 Like previous senior classes before them, Manhattan College’s graduating class of 2017 has worked together to provide a gift to the College. This year’s gift is a memorial scholarship in memory of Father George Hill, the College’s long-serving chaplain, who passed away in September 2016. The award will benefit an unrestricted scholarship in memory of Fr. Hill. The senior class will be donating the entirety of their fundraising to the scholarship in Hill’s honor so that its funding can continue to support students years into the future. “We chose to create a scholarship in loving memory for Fr. Hill to continue the legacy he left here on campus. He touched the lives of so many in our community, so we wanted to continue his service to students through the creation of this scholarship,” said Kelly Freeman ’17, a member of the senior class gift committee, to the Quadrangle in April. 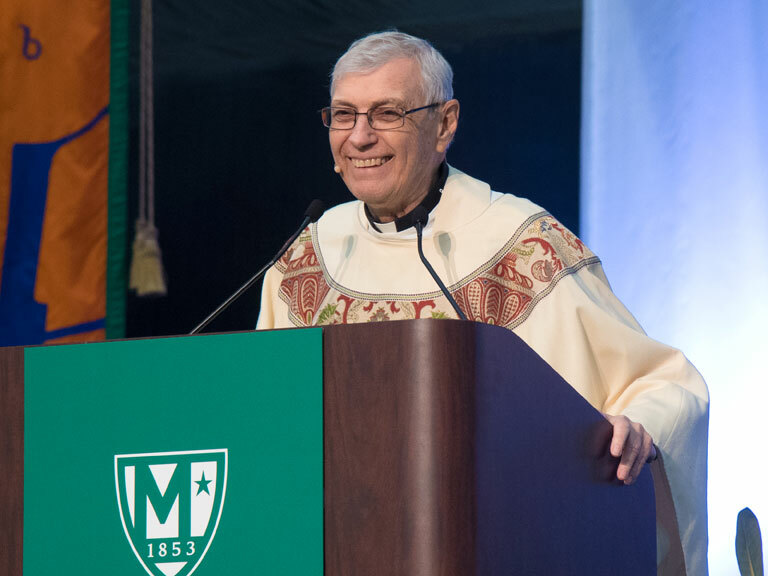 A respected and beloved member of the Manhattan College community for nine years, Fr. Hill presided over many of the College’s Catholic services, including Sunday Mass and holy days. 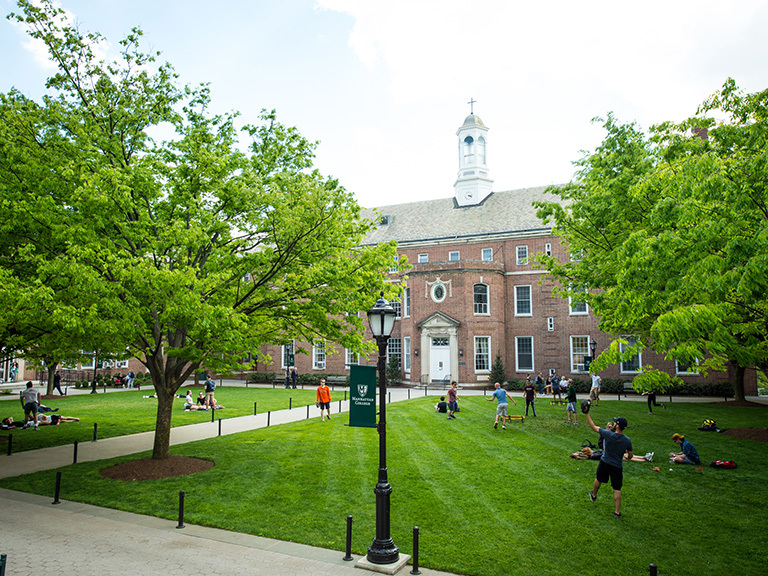 He began a weekly meditation program that became highly popular with students and traveled with many of the Jaspers’ intercollegiate athletics teams all across the country. Fr. Hill came to Manhattan College in 2007 after 10 years as the parochial vicar at St. Raymond’s parish in the Bronx. A licensed mental health counselor in New York State, Fr. Hill also provided therapy out of an office at St. Bernard’s parish in Greenwich Village, and served as a chaplain and bereavement counselor at the Bailey House in Harlem, where he worked with patients suffering from HIV and AIDS. Prior to his time at the Bailey House, Fr. Hill worked at the Abbey of the Genesee in Piffard, N.Y. Fr. Hill was the retreat director at the monastery of strict observance, where the monks observed a strict policy of silence. It was there where Fr. Hill learned about meditation, a practice he carried to his role in Riverdale. A native of Worcester, Mass., Fr. Hill graduated from St. John’s Prep and the College of the Holy Cross, where he received a bachelor’s degree in English. He received a master’s degree at Assumption College and a Master of Divinity from St. Bernard’s Seminary in Rochester, N.Y.